Taurus could sadden you. The goal is there, you see it clearly, but you might deviate from the road. He tends to make you respect the routine; you do your chores attentively. But often, you tend to do things in the opposite order (from end to beginning). Conflicts will emerge because of this. Taurus is watching your budget when you think that any experience is worth it after all. 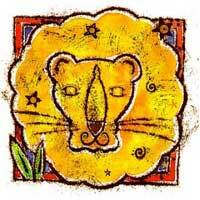 But Taurus wants to put the cards on the table - wants to feel and see, to be informed. Any "Big Plans" are called into question by the Taurus. Listen, you will need someone to make you achieve your goals, to rise you to a different position in society. With Taurus, the key is to find a balance between practicality and creativity - which is not always easy. Do not fool yourself - try not to reform him or do things as you want. If you do this, you will almost certainly create conflict. Be patient, because he is just as stubborn as you. The combination of Leo and Taurus is interesting but could not work and if it does, one of you will dominate the relationship and will benefit more than the other. Venus and the Sun create mystery and intrigue. Attention is something you long for. 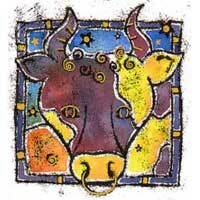 Taurus will help in matters related to career, but you will have to make some concessions, especially in the financial area.